, ltd is a manufacturer of hook and loop with well-equipped testing facilities and strong technical force. Our products are widely recognized and trusted by users and can meet continuously developing economic and social needs. We welcome new and old customers from all walks of life to contact us for future business relationships and achieving mutual success! Color Normal color:Red ,yellow ,blue ,green ,black ,white ; Also can do any colors based on the pantone code . 2.P ulling the hook end back over until the strap body is cinched tightly around an article. How to order : 1,Send us the inquiry ; 2,Quote the price for you ; 3,Confirm the order ; 4,If you need print the logo on the product . painlessly organize your your audio/video equipment cabling, wrap houses and extension cords and hold those boxes or blankets together. 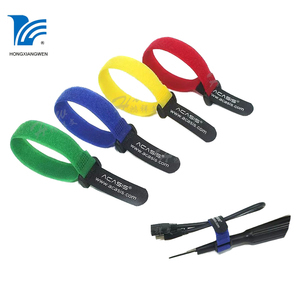 hoo k and loop straps can be used in housekeeping, network cabling, other uses. if just a few samples, we will send freely and freight collect. our products are widely recognized and trusted by users and can meet continuously developing economic and social needs. 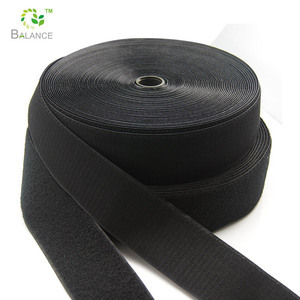 nylon hook and loop strap, hook and loop roll there are countless uses for non-adhesive hook and loop fastener. 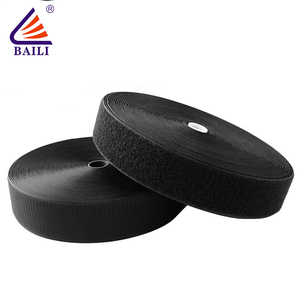 they are widely used on clothing, shoes, hats, bags, sofa, curtain, toys, tents, gloves, sports equipment, medical equipment and all kinds of military supporting. adjustable ealstic hook loop fastener strap with buckle this hook loop buckle strap provide simple, easy-to-use fabric closures for clothing, accessories, and home decorating. these hook and loop fasteners can be used instead of buttons, snaps, or zippers and are washable by machine or dry cleaning. 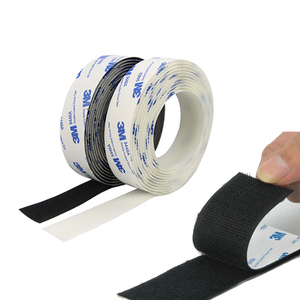 Physical property of 20mm hook and loop tape : Adhesive strength: 6.8kgs above of the draw forch(adhesive length 50mm),and 180g above of the stripping strength. 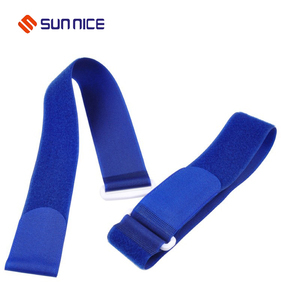 Heat-resistance character: softened at 180&deg;C begin to melt between 215&deg;C and 220&deg;C Chill-resistance character: it could still be used below -20&deg;C. the lower the temperature is,the stronger the draw force is,but the durability becomes small. 3 YRS Shenzhen Jixing Textile Thchnology Goods Co., Ltd.
our main products good price hook and loop tape . * it's perfect for clothing,bags, home textile etc. easy to release for release, you simply loosen the hook loop strap and gently slide the lipo ou. if samples we have in stock would be provided for testing, but shipment should at your side, it is fair. 3 YRS Ningbo Great Earth Imp. & Exp. Co., Ltd.
2.It widely applied in all areas of our society such as apparels,shoes,home decoration etc. 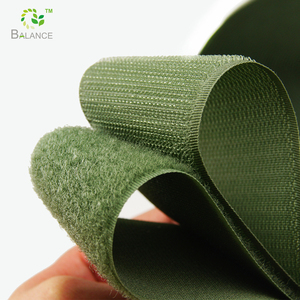 2.Professional textile factory specialized in Hook and Loop series, exciting price and quality. 3.Passed various functional tests such as durability test,color fastness test etc. 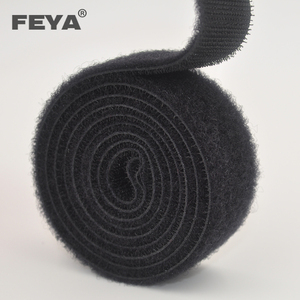 4 YRS Hangzhou Xinyang Ribbon Co., Ltd.
application widely used for furniture,medical equipment,garment,baby diapers, garment, shoes, sports products, curtains, etc. 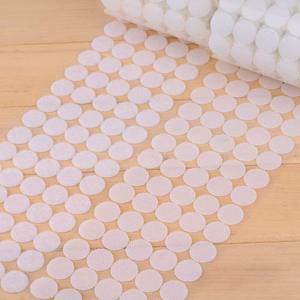 feature environmental, self-adhesive, practical, soft and comfortable handfeel. origin guangdong china (mainland) product size any size can be made as the request of customers. certification sgs&rohs, in line with the european environmental protection standards. 2 YRS Shuxiying Technology (Chengdu) Co., Ltd.
works with quads, drones, helis, planes and cars. rjxhobby exclusive design specially for high speed racing. 30~100% payment in adance at your convenience, balance is to be paid when shipment. We can only take charge of the bank fee for the deposit or balance payment. 4. Q: What's the delivery time9 A: Generally, it will take about 7~10 working days to finish an order, but the exact time is depended on the actual situation. welcome to visit us, ' chukuang '! about chukuang we, zhongshan chukuang textile co., ltd. are located in baishawan second industrial area, east district, zhongshan city, guangdong province, china. we could supply both with and without glue types, different shapes (die cut) and colors are available. 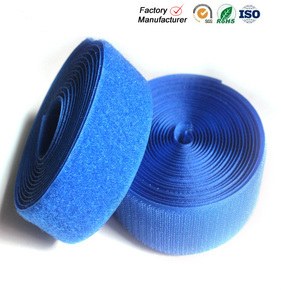 adhesive backed hook and loop tape hook and loop fastener is widely used for different industries like garments, bags, toys, shoes, umbrella, etc. 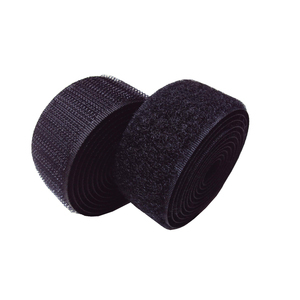 2 YRS Velcro (China) Fastening Systems Co., Ltd.
Alibaba.com offers 98,922 hook and loop products. About 4% of these are handbags, 3% are cable ties, and 1% are baby diapers/nappies. A wide variety of hook and loop options are available to you, such as polyester / nylon, 100% nylon, and nylon. You can also choose from self-locking, releasable. As well as from free samples, paid samples. There are 98,922 hook and loop suppliers, mainly located in Asia. The top supplying country is China (Mainland), which supply 100% of hook and loop respectively. Hook and loop products are most popular in North America, Western Europe, and Domestic Market. You can ensure product safety by selecting from certified suppliers, including 25,527 with Other, 20,238 with ISO9001, and 7,716 with BSCI certification.